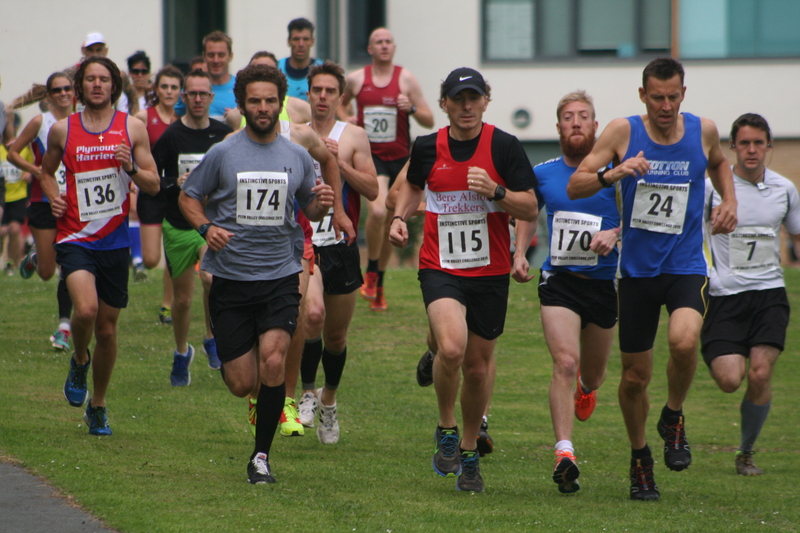 NEARLY 200 runners braved the tough Plym Valley Challenge race on Sunday. The event, which started and finished at Tor Bridge High School in Estover, took competitors down into the valley and along the old tram and logging tracks to Hatshill Woods below Bickleigh Village and then back along the river to Plym Bridge. The last mile from Plym Bridge to Estover was all up hill. The multi-terrain course was just over seven miles long and organised by Instinctive Sports. There was an impressive turnout of runners from Plymouth Musketeers and Bere Alston Trekkers for the race, which was raising money for St Luke’s Hospice. Tags: athletics, Instinctive Sports, Plym Valley, Plymouth Musketeers. Bookmark the permalink.